The local purveyor of adorable high-craft paper finally gets a hometown storefront. Dedicated fans of Little Otsu, the quirky online haven of whimsical and charming planners, calendars, journals, books, and cards, may have visited the Portland-based artisan brand's "mini-store" in San Francisco. This weekend, however, the successful publishing company debuts its hometown storefront on SE Division. We sat with Jeremy Crown of Little Otsu as he and his partner Yvonne were just getting the keys to their new store. 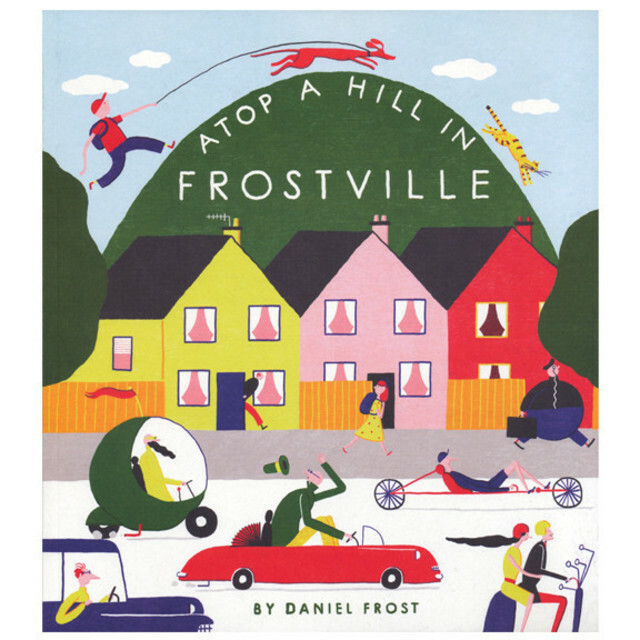 Atop a Hill in Frostville, by Daniel Frost "Our first kid’s book with a fun wordless adventure story and incredible illustrations by British artist Daniel Frost." What's the short story on what Little Otsu is? JC: We make things for the people who want paper in their life. How has Little Otsu evolved since its beginning? I like when you said you make things “for the people who want paper in their lives.” In an increasingly technological world, why is it important to make beautiful paper goods? JC: Sales of paper books have actually risen. With books, it’s an object of art that lives in your home. Planners you hold and are almost like diaries; you can look back on your life, and they live on your bookshelf—you can’t browse on your ICal very easily, whereas with a book you can flip through the past year of your life. 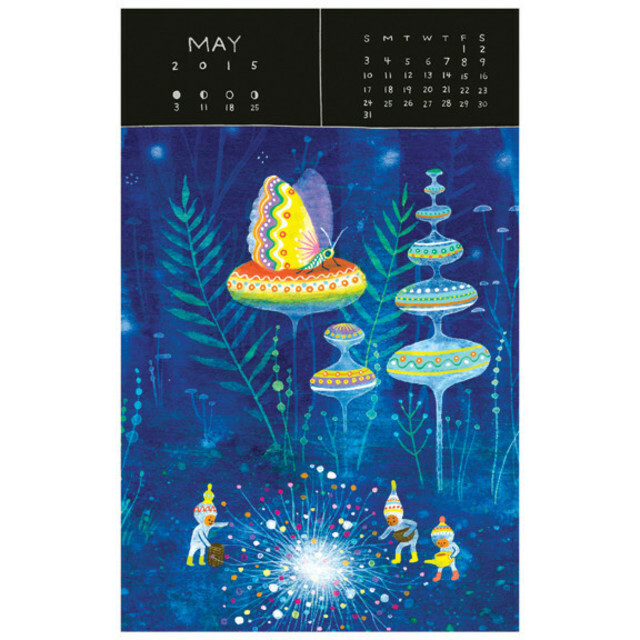 Cosmic Light 2015 Calendar by APAK The new calendar by this Portland duo features their signature style of beautiful and whimsical exploration into their imagined universe. How would you describe Little Otsu’s aesthetic? You publish work from different artists, yet they seem to share a quintessential Little Otsu quality. JC: Yvonne and I ask each other all the time, ‘does this seem like Little Otsu?’ We’ve never actually defined what that means to each other. It’s more like, ‘I like this or I like that.’ Some artists are more folky, some more whimsical, and some are more landscape-oriented. We listen to our guts and to what we like in that moment. We’re all about selling things we like, and our new store will be an expansion of that. With a planner it’s your whole life in a book, so we want to make sure that their designs resonate. It’s really fun to talk to customers and hear what people say in person. We get a lot of good ideas from what we talk about with people in the store. We have items from all over the world—we have these awesome bags from Finland and other items from France and England. The way we grow as people is to see different types of things from all over the world. 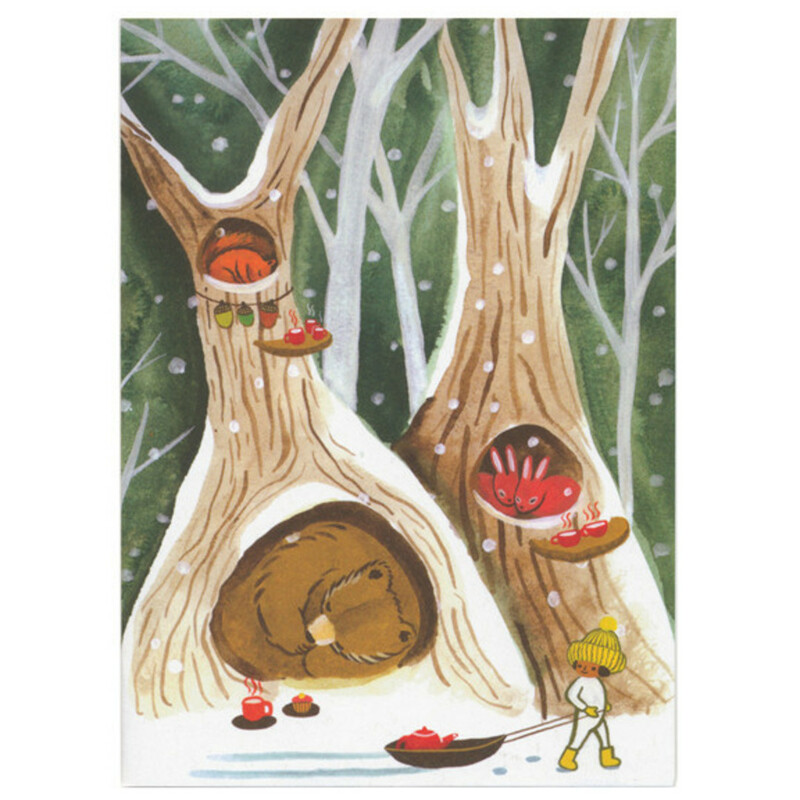 Winter Card by Ayumi Piland This cozy card depicts a sweet forest winter scene by half of the Portland duo APAK.